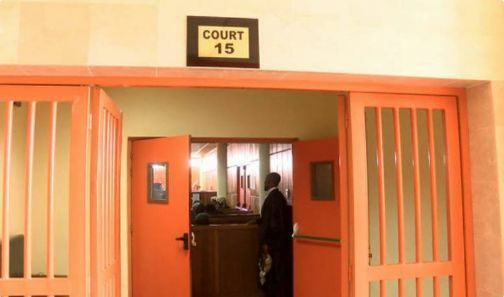 An Igbosere high court has ordered a former banker, Mr. Adebayo Ogunnusi to be remanded in Ikoyi prison over alleged N15.4million fraud. The EFCC arraigned Ogunnusi, a former staff of Heritage Bank yesterday before Justice Sybil Nwaka for allegedly obtaining N15.4m from Mr. A. Kehinde under the disguise of supplying dollar. Ogunnsi, 41, was arraigned alongside his company, Track Train GMAT Limited. The EFCC prosecutor, Mr M. D Aliyu alleged that the defendant committed the offence between May and August 2016. According to him, Ogunnusi obtained the said amount from one Kehinde by presenting himself as a head of a department in the bank and that he could change the naira equivalent to dollar. The defendant pleaded not guilty. Aliyu urged the court to remand the defendant in prison and adjourned for commencement of trial. Justice Nwaka ordered Ogunnusi to be remanded in Ikoyi prison, before adjourning till November 15.